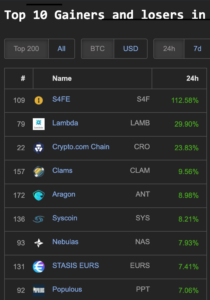 Bitcoin (BTC) is trading at 5035 USD and is currently holding support on some of the faster EMAs (9) on the daily chart and is still bullishly staying above the 200 day moving average. 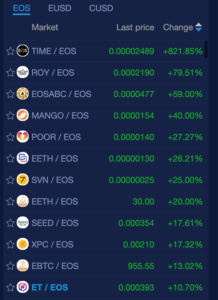 After a big recent gain over 1000 USD for BTC it is normal and healthy for the cryptomarket to retrace. 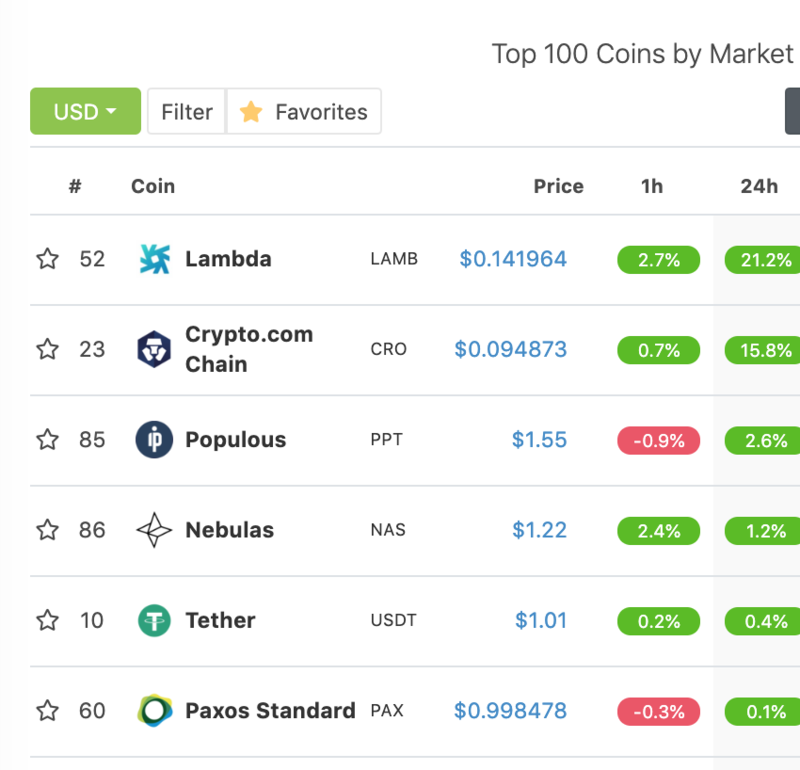 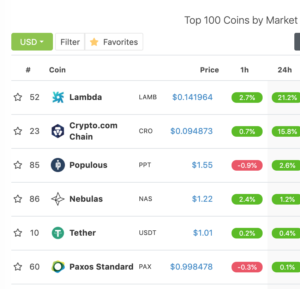 The top double digit gaining cryptos in the 100 market cap coingecko.com today are the same as yesterday Lambda (LAMB) 21% and Crypto.com Chain (CRO) 15%. 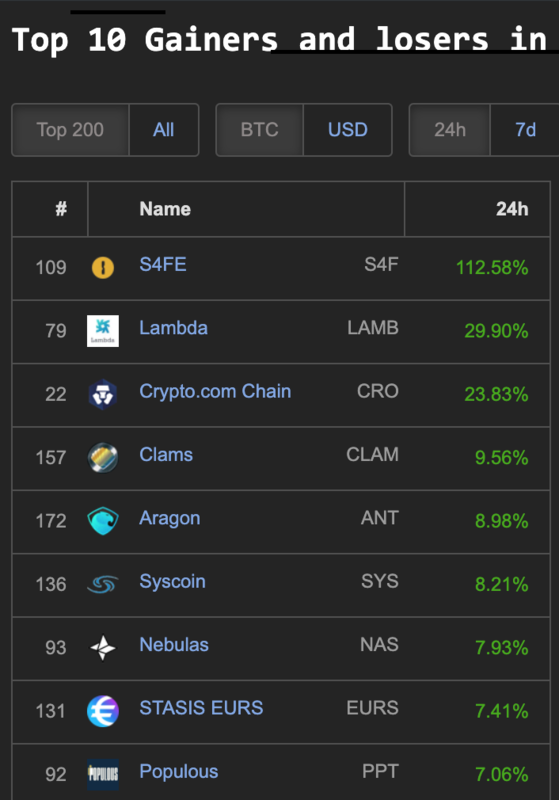 Coins leading within the 200 market cap on Coinpaprika.com: S4FE (S4F) 112%, Lambda (LAMB) 29%, Crypto.com and Chain (CRO) 28%. 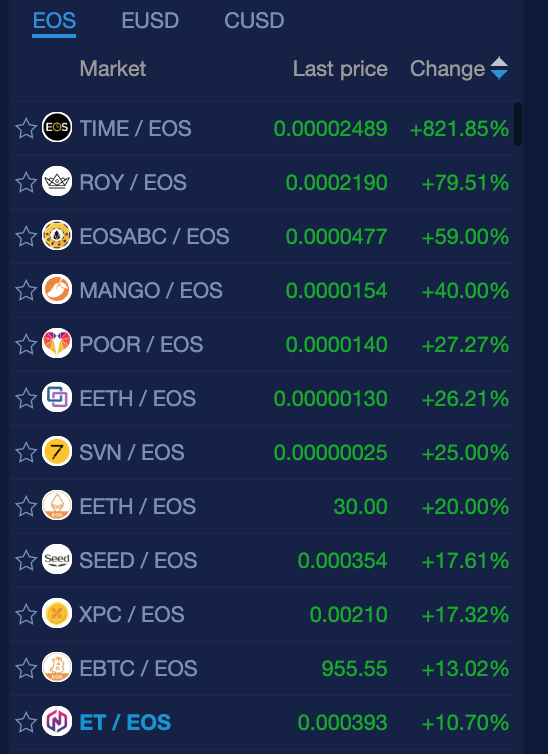 Still plenty of green for projects listed on NewDex.io, the EOS coin TIME is up (821%) and there are also a dozen coins with double digit gains, some of the non gambling coins/tokens include: POOR (27%), EETH (26%), SEED (17%), EBTC (13%) and HIG (10%).